Bx.in.th Review 2019 – Scam or Not? A number of region-based websites have now monopolized local crypto trades. This is because people are given easier withdrawal methods compared to international exchange websites wherein to withdraw money is nearly impossible without choosing the BTC route. Today, we will be looking into one of the region-based exchange websites called Bx.in.th. Join us as we explore their website, know what their features are, learn how to create an account and generally understand what services they provide to the market they support. Without further delay, let’s talk about that! The website BX.in.th is a Thailand-based crypto-exchange website by Bitcoin Co. Ltd., that has been providing services for currencies like BTC, ETH, and XRP along with many more ICO tokens since 2013. Since the website is based in Thailand, users are able to buy and sell BTC and other cryptocurrencies for THB. 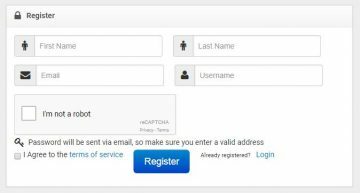 To create an account with BX.in.th, you just need to click on the “Register” button and the account creation tab will ask for your complete name, active email account, and a username for the account you want to create. After that, you are now able to log into your account without any problems. The only issue is that if you are not from Thailand, the verification process cannot be finished. An unverified account is unable to take advantage of their full website features. This means that you are unable to trade crypto, deposit, and withdraw from your account. The website requires personal information to have an account verified. This includes City of residence, suburb, street address, postcode, local phone number, date of birth, ID or Passport number, and scanned pictures of your Thai National ID card. In addition, a picture of you holding the ID is required for confirmation. Two-Factor Authentication is available for all account holders. Simply visit their “Security” tab and select 2FA to enable the feature. Aside from having an extra level of security, they also offer withdrawal limits and withdrawal time lock for their accounts. This is an awesome feature since traders are now able to put on a restraint on their daily limits and easily control the flow of their funds. This feature is mostly automated in some exchange websites today, but having a manual feature like this to control funds is really amazing! What we like about this website is that here at in Bx.in.th you do not need to have an account to get a glimpse of what their trading platform looks like. Since the website is based in Thailand, transactions against crypto are in THB. 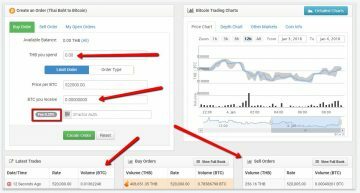 To buy or sell an order, all you need to do is provide the amount you want to spend/sell and you will automatically get the latest BTC/Crypto price on the pair that you want to trade with. Aside from their trading transparency, people are easily able to look into their available pairs without any problems at all. This is great since we are unable to see such generosity on most websites today. Here at Bx.in.th, everything is just right at your fingertips! The available crypto that can be traded here are as follows: BTC, BCH, DAS, DOG, ETH, EVX, FTC, GNO, HYP, LTC, NMC, OMG, PND, PPC, QRK, REP, XCN, XPM, XPY, XZC, and ZEC. The market will be either against THB or BTC. We haven’t seen this much pairs in a region-based exchange website before! This is really exciting on our part! If you live in Thailand and is looking for a website to exchange cryptos, then this is the place for you! Now comes the most crucial part of the review, fees. Getting to know how much you will be spending on trading fees is as important as knowing the website/company you are transacting with. The standard fee for trading in Bx.in.th is 0.25% per trade. They advised that the primary amount the charge is set to will be the currency being traded, in most cases, this means that the charge will be in BTC. Most of their available deposit methods are free unless you fall short of the minimum deposit. This is true for ZEC since the minimum deposit is 0.05000000 and if the deposit doesn’t reach that minimum the fee is ZEC 0.00050000. Withdrawal fees are also a thing here at Bx.in.th, this means that fees for withdrawing to crypto wallets are charged. For example, the standard withdrawal fee for BTC is at 0.001 per transaction. For ETH deposit requests the fee is 0.005. To read more about the fee schedule, please click this link. They accept Fiat (THB) deposits since this is based in Thailand. They also accept more than a dozen crypto deposits directly from your personal wallet. When it comes to withdrawals, they also have a THB option and crypto depending on which one you want to withdraw. Since the website is based in Thailand, the bank withdrawal options are limited to Thailand. What’s great about this website is that they have a phone support number that anyone can call through 02-552-2977 within working hours of 8:00 AM up to 10:00 PM. Aside from their phone support; customers are also able to send them tickets with the issue that they are experiencing. We would just also like to add that the website has recently got positive reviews about having a generally positive experience with the exchange. Read more about it here. Honestly, aside from the fact that we were unable to have a verified account done, the website is great. If you are from Thailand and looking for a website to trade cryptos, Bx.in.th is the perfect place for you! They have really awesome features that can control your daily spending, not to mention, a lot of pairs to choose from. The only negative thing that we experienced is the fact that they are always under attack of some sort (DDOS) which leads the website to go down several times a day. Please let us know your personal experience with the website in the comments section below! Iam a non thai person living in thailand. I opened account a couple of months before. The exchange is very good and user friendly. I am very comfortable with this exchange. Depositing, withdrawl, and trading are all easy. No hassles and confusions. Only thing is, I would be very happy if operated in more countries. I’m a westerner retired in Thailand. I opened an account with them last year. The platform is a joy to use. I’ve registered my bank account (Thailand) with them and can now withdraw THB to my bank account in about an hour or two. It says the funds will be reflected in my account the next day at 15:00 but never had to wait more than two hours. Deposits can be made at any ATM. As mentioned they also accept deposits in a wide range of coins. More than happy. I wish they operated in other countries.